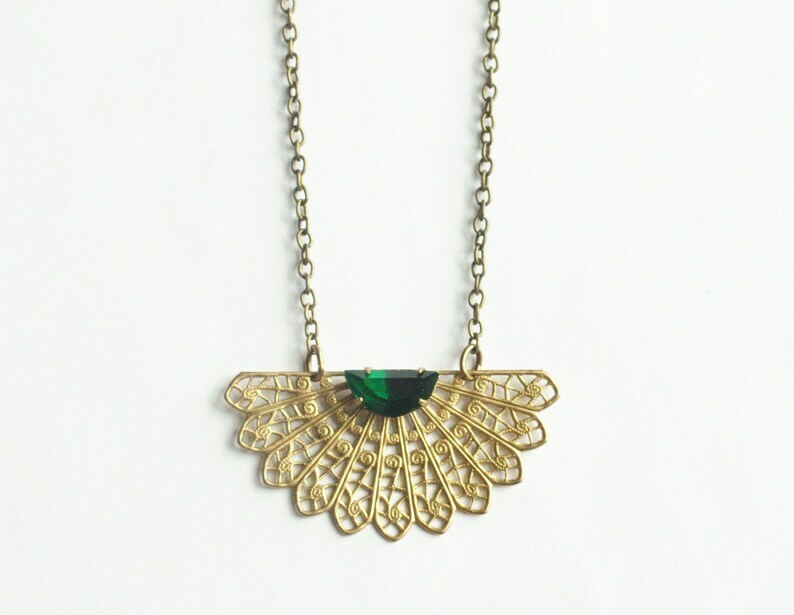 Art deco style emerald green jewel necklace. Brass filigree fan detail with half moon vintage Austrian crystal jewel detail. The fan measures 34mmx17mm. Antiqued brass finish chain measures 18 inches long. Any length is available upon request for no additional charge, just add a note during checkout! I love my order. The necklace is beautiful. It is perfect. This shop has a great selection, the quality is outstanding and the customer service can't be beat. Thank you! Beautiful design, only single band though.